Walker recently launched a consulting practice to help companies, sports teams and military units refine the way they identify, cultivate and support potential leaders in their ranks. 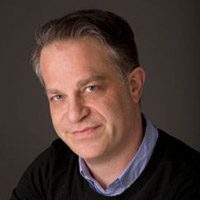 He is the author of “Fantasyland,” a bestselling 2006 account of his attempt to win America’s top fantasy baseball expert competition (of which he is a two-time champion). He attended the University of Michigan. He lives in New York City with his wife and two children.